Hi everyone! 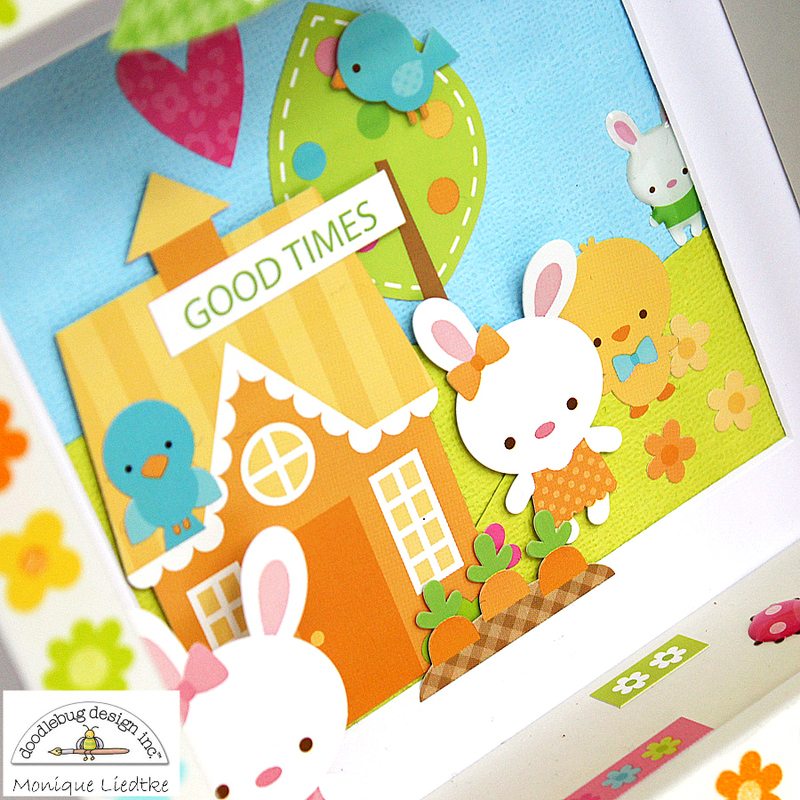 I'm so happy it's my turn to share my Bunnyville projects on Doodlebug's blog today. I had such a great time creating these projects that I can't wait to show them to you. 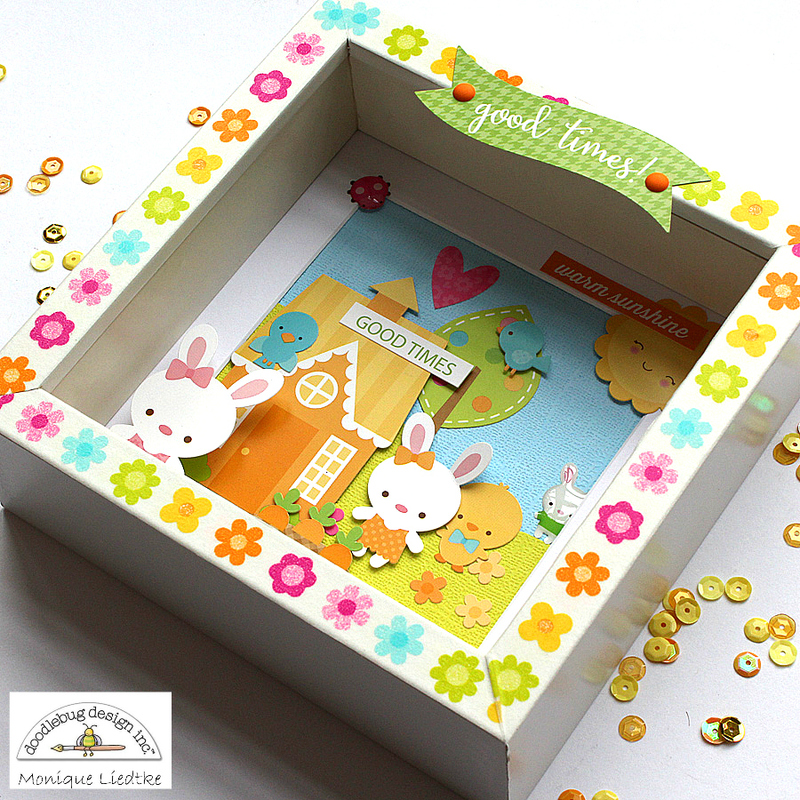 I love decorating my house for Eastern, so this box is just perfect! 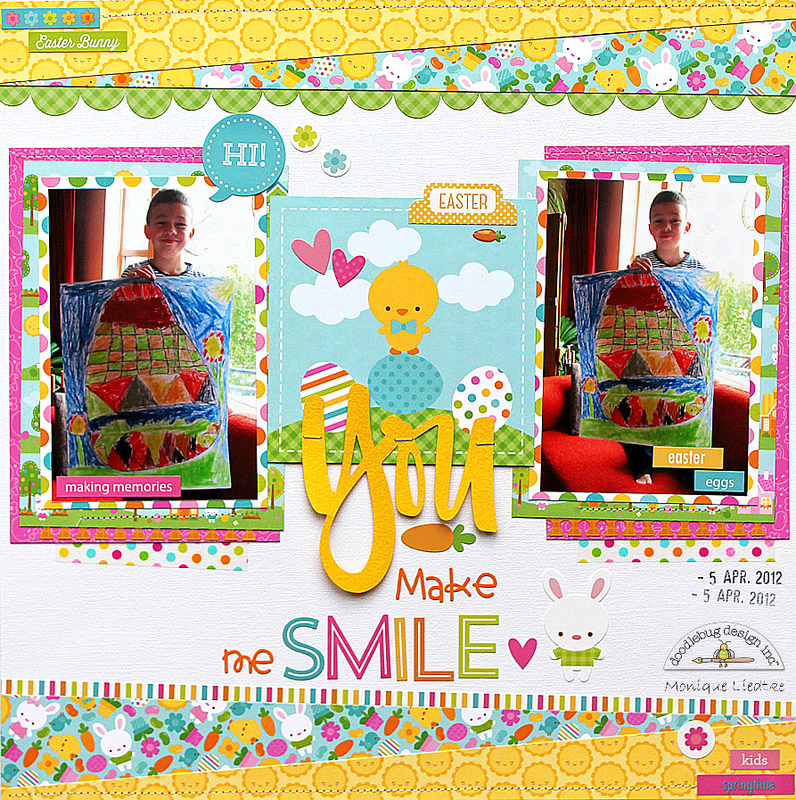 The shadow box comes from my own stash and wasn't of a very good quality, so I wanted to do something to cover that up and adhered Doodlebug's washi tape on all sides. I think it looks much better now! And then on to my next project ... here's a layout of my youngest who came home from school with a huge drawing of an Eastern egg. He was so proud of it that I had to scrap this (even though the photo is from a couple of years ago)! Here's a detail photo of my title: "you" was cut using my Silhouette Cameo and adhered with little staples. 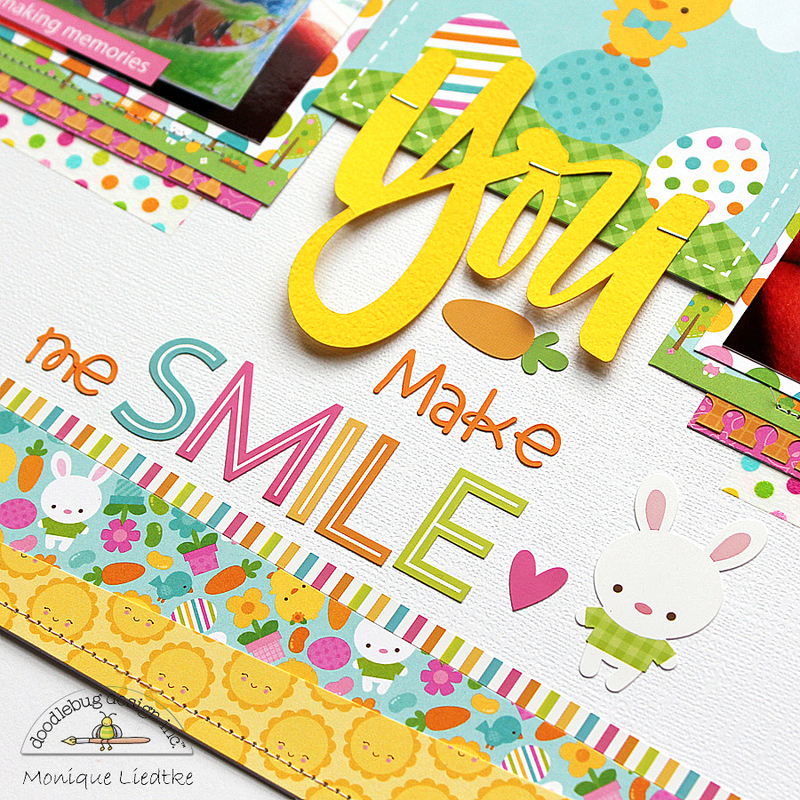 For the words "make me" I used the Tangerine colored Teensy Type letter stickers and the word "smile" comes from the Spring Garden collection. Have I already mentioned how I love all the super cute stickers? Yes? I thought so, but I really do! And just look at that mini carrot sprinkle! So awesome! 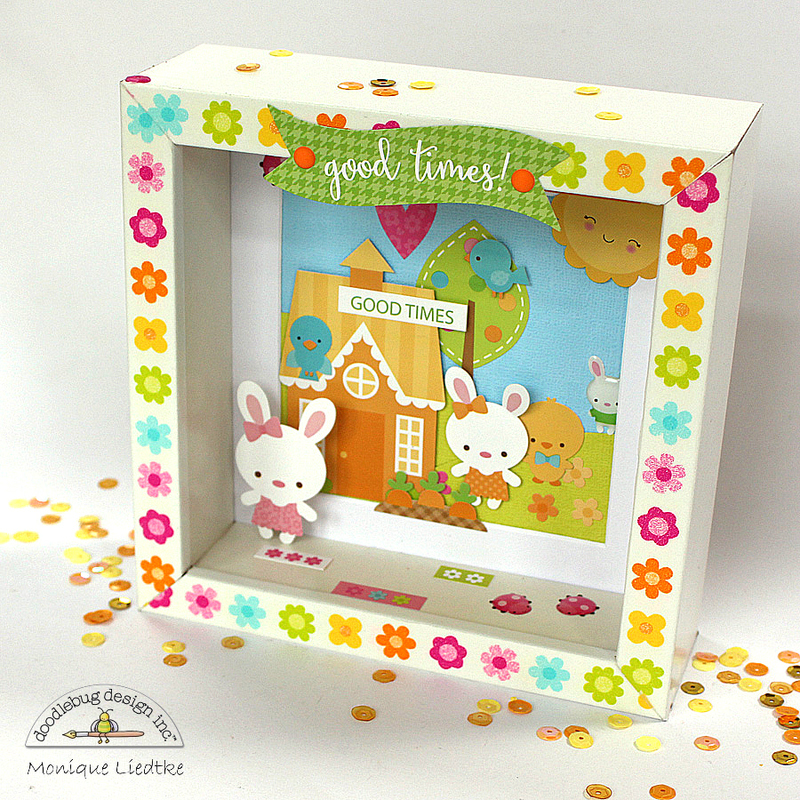 To check out the entire Bunnyville collection just click HERE to hop over to Doodlebug's catalog on their website. 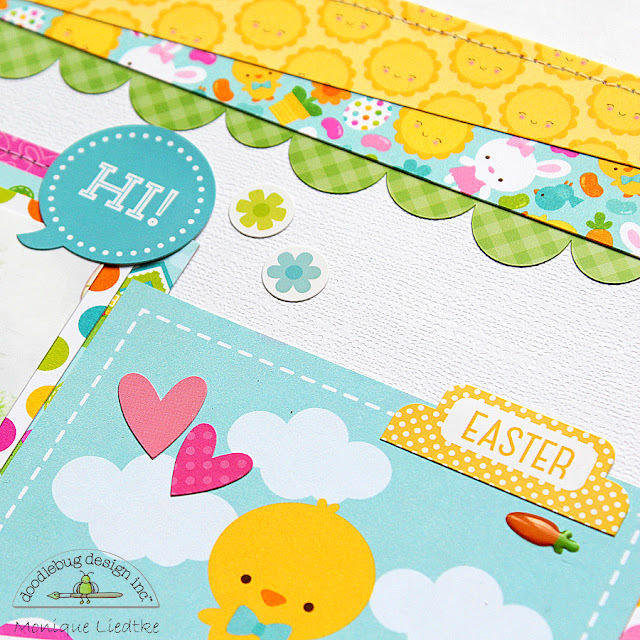 Thank you so much for stopping by Doodlebug's blog today! And I would love to learn what you think of my projects! Wishing you a wonderful day. Both of these projects are so much fun!!! Such fabulous creations! You are amazing! These projects are great. They are so cute. Love all the spring colors. Monique both of these projects are just fabulous!! So clever, and I love the borders on the layout!